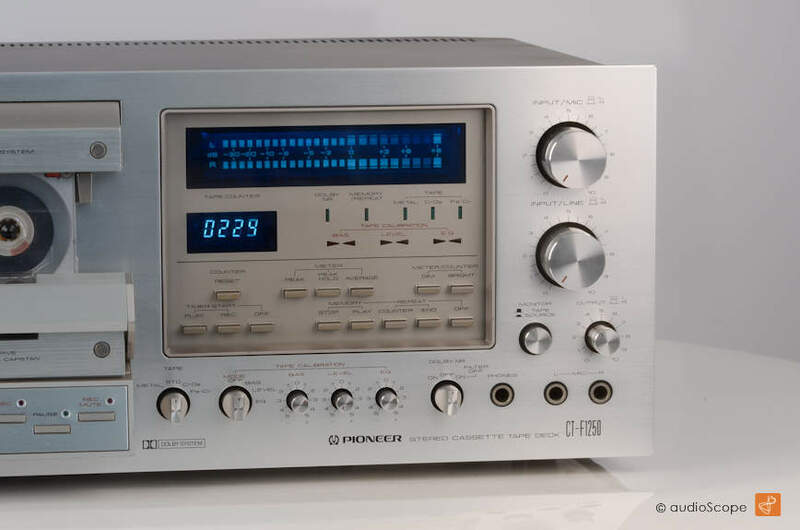 Pioneer CT-F 1250 for sale. 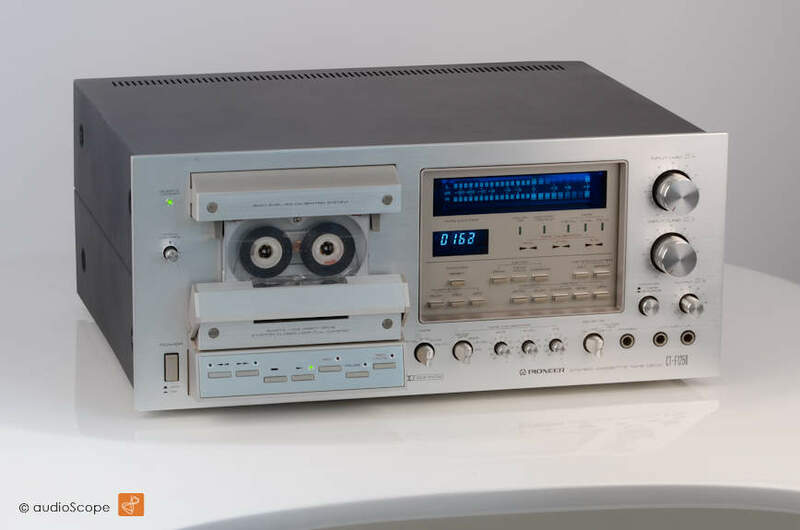 High quality and top of the line cassette deck with the legendary "blue" meters. 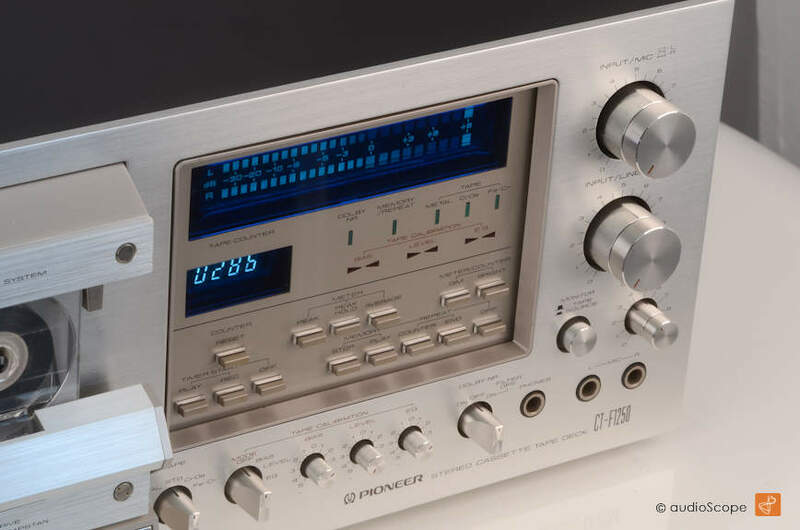 The Pioneer CT-F 1250 features 3 heads with a massive dual capstan drive, Metal Tape bias and Dolby Noise Reduction. 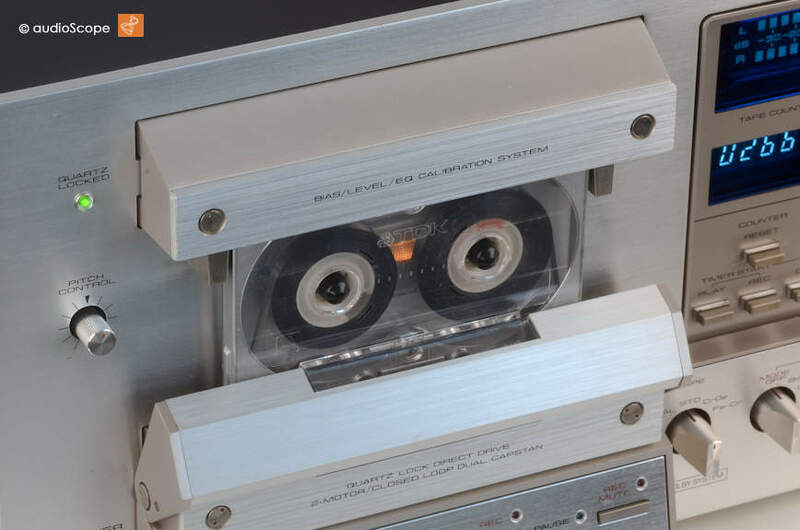 The most sophisticated invention, the tape calibration computer was one of the first that came out. The integrated tone generator with its 3 test tones (400, 2000 und 12.000 HZ) allows the optimal calibration of bias, level and equalisation. 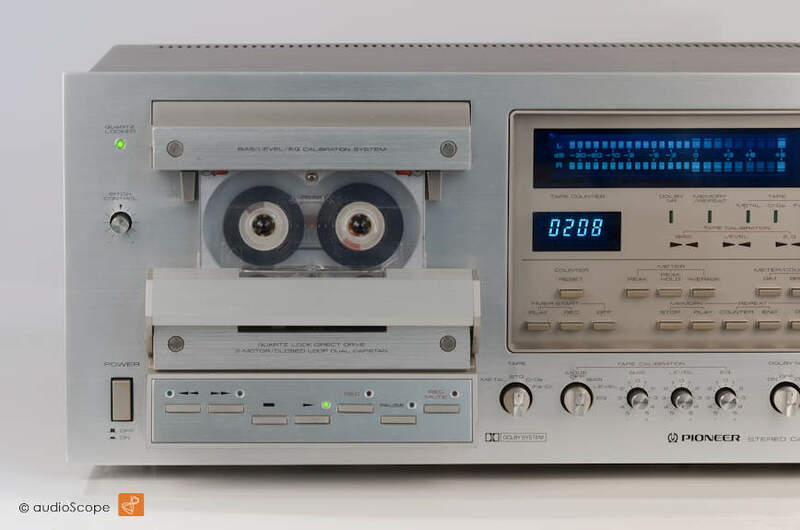 You can listen to the result or just read the optimal settings for your specific tape off the optical indicators below the meters. The result is perfect recording and playback. 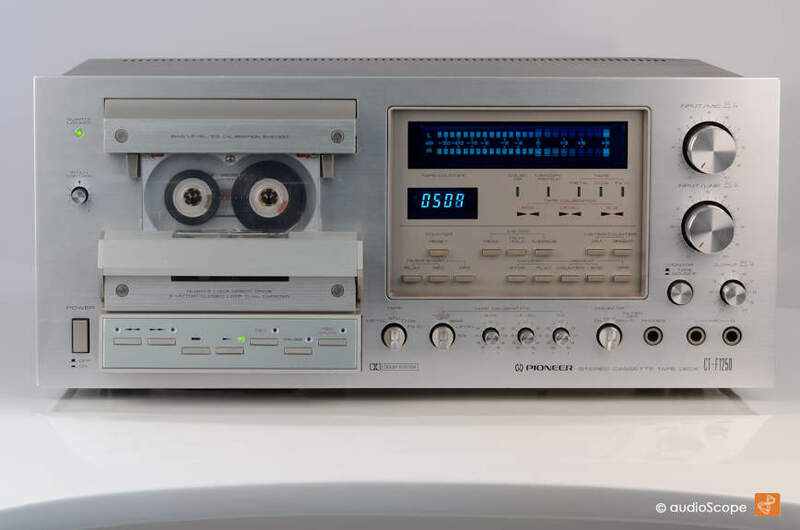 The technical condition is near mint, just serviced. Time Machine Quality. Very clean. For further information click on the link below and visit "thevintageknob"